1. 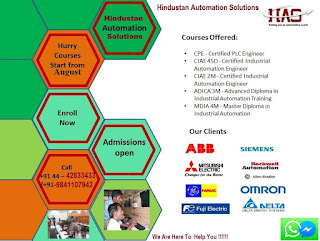 To whom industrial automation training course in PLC/SCADA/HMI is useful? 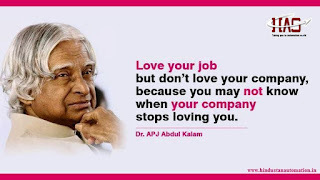 The course is useful for is for fresh engineering /diploma graduates who desire to build a career in core industries and Professionals working in the industry who want to upgrade their present level of knowledge to enhance their job profile and create a better position for themselves in their career . 2. Where these PLC/SCADA/HMI technologies are most used?
. 3. 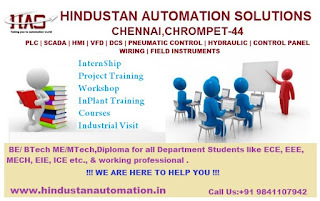 I don’t have any idea in industrial automation, Will I be able to cope up with the training ? Yes. Since we start the training from basics and cover all the core topics in detail so it will not be a problem for you to understand. 4. I am a chemical/mechanical/production engineer. How will this course help me? 5. What will be the gain for the trainees after completion of this course? 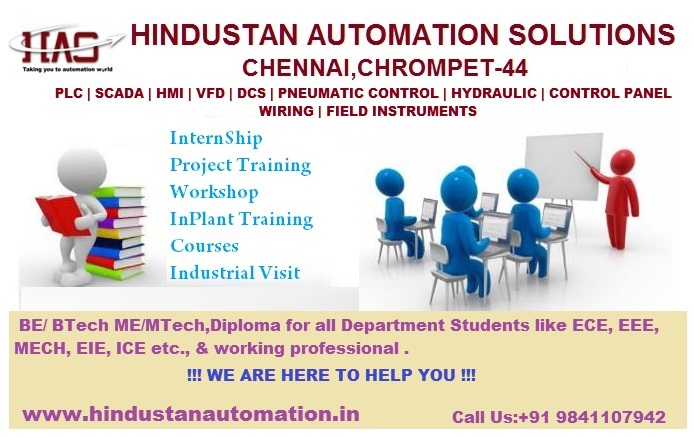 You will be enriched with the latest technical knowledge related with the industrial automation so while you appear for interviews it improves the chances of getting selected. Also you will be in a position to design and commission an automation system. Have more queries? PLC technicians design, program, repair and maintain programmable logic controller (PLC) systems used within manufacturing and service industries ranging from industrial packaging to commercial car washes and traffic lights. 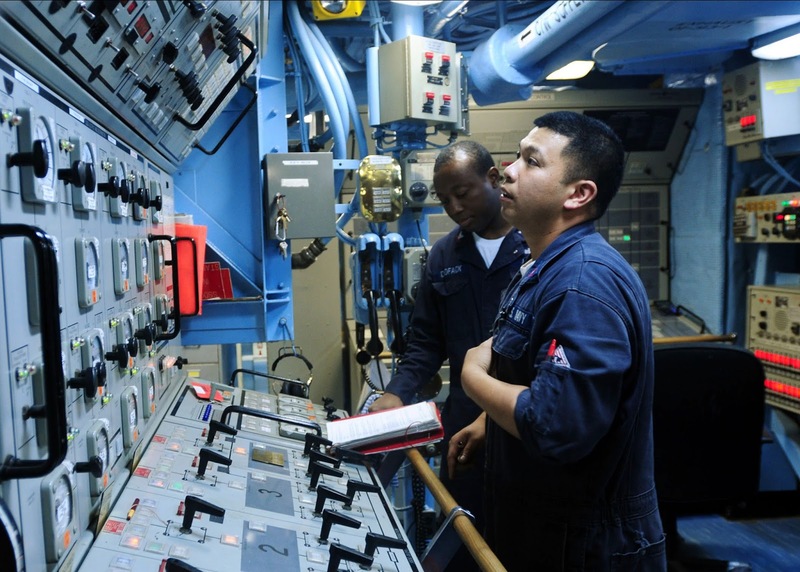 PLC technicians are knowledgeable in overall plant systems and the interactions of processes. They install and service a variety of systems including safety and security, energy delivery (hydraulic, pneumatic and electrical), communication, and process control systems. They also install and service measuring and indicating instruments to monitor process control variables associated with PLCs, and monitor the operation of PLC equipment. PLC technicians work with final control devices such as valves, actuators and positioners to manipulate the process medium. 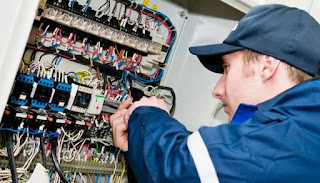 They install and terminate electrical, pneumatic and fluid connections. They also work on network and signal transmission systems such as fibre optic and wireless. 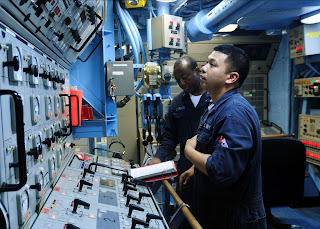 Along with the calibration, repair, adjustment and replacement of components, PLC technicians inspect and test the operation of instruments and systems to diagnose faults and verify repairs. They establish and optimize process control strategies, and configure related systems such as Distributed Control Systems (DCSs), Supervisory Control & Data Acquisition (SCADA), and Human Machine Interfaces (HMIs). PLC technicians maintain backups, documentation and software revisions as part of maintaining these computer-based control systems. Scheduled maintenance and the commissioning of systems are also important aspects of the work. PLC technicians consult technical documentation, drawings, schematics and manuals. They may assist engineering in plant design, modification and hazard analysis, and work with plant operators to optimize plant controls. PLC technicians use hand, power and electronic tools, test equipment, and material handling equipment. They work on a variety of systems including primary control elements, transmitters, analyzers, sensors, detectors, signal conditioners, recorders, controllers and final control elements (actuators, valve positioners, etc.). These instruments measure and control variables such as pressure, flow, temperature, level, motion, force and chemical composition. PLC systems designed and maintained by PLC technicians range from high speed robotic assembly to conveyors, to batch mixers, to DCS and SCADA systems. PLC systems are often found within industrial and manufacturing plants, such as food processing facilities. Alternate job titles include PLC engineer, Automation Technician, Field Technician or Controls Technician. 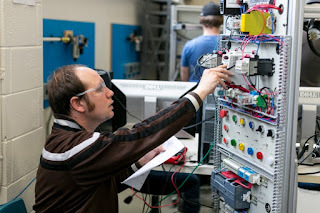 PLC technician educational courses and programs integrate PLC programming with mechanics, electronics and process controls, They also commonly include coursework in hydraulics, pneumatics, robotics, DCS, SCADA, electrical circuits, electrical machinery and human-machine interfaces. Typical courses include math, communications, circuits, digital devices and electrical controls. 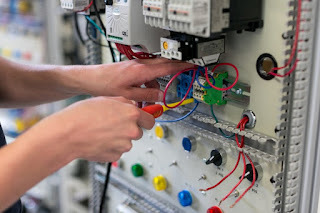 Other courses include robotics, automation, electrical motor controls, programmable logic controllers, and computer-aided design. When performing their duties, PLC technicians must comply with federal, jurisdictional, industrial and site-specific standards, codes and regulations. They must ensure that all processes operate and are maintained within these set standards, codes and regulations. Keeping up-to-date with advances in technology in industry is important. Key attributes for PLC Technicians are critical thinking skills, manual dexterity, mechanical aptitude, attention to detail, strong problem solving skills, communication skills, and mathematical and scientific aptitude. Employers generally prefer applicants who have completed a PLC technician certificate or related associate degree. These programs can be completed at Colleges and Universities in either an in-class or online format. Some Colleges, such as George Brown College, offer an online PLC Technician program that uses simulation software, PLCLogix, to complete PLC lab projects and assignments. Certification by accredited schools and third party organizations can enhance employment opportunities and keep PLC technicians current and up-to-date. In addition to Colleges and Universities, other organizations and companies also offer credential programs in PLCs, including equipment manufacturers such as Rockwell and professional associations, such as the Electronics Technicians Association, Robotics Industries Association and the Manufacturing Skill Standards Council. Water treatment is any process that makes water more acceptable for a specific end-use. The end use may be drinking, industrial water supply, irrigation, river flow maintenance, water recreation or many other uses including being safely returned to the environment. Water treatment removes contaminants or reduces their concentration so that the water becomes fit for its desired end-use, . Treatment for drinking water production involves the removal of contaminants from raw water to produce water that is pure enough for human consumption without any short term or long term risk of any adverse health effect. Substances that are removed during the process of drinking water treatment include suspended solids, bacteria, algae, viruses, fungi, and minerals such as iron and manganese. The processes involved in removing the contaminants include physical processes such as settling and filtration, chemical processes such as disinfection and coagulation and biological processes such as slow sand filtration. Measures taken to ensure water quality not only relate to the treatment of the water, but to its conveyance and distribution after treatment. It is therefore common practice to have residual disinfectants in the treated water in order to kill any bacteriological contamination during distribution. World Health Organization (WHO) guidelines are a general set of standards intended to be applied where better local standards are not implemeted. More rigorous standards apply across Europe, the USA and in most other developed countries. followed throughout the world for drinking water quality requirements. A combination selected from the following processes is used for municipal drinking water treatment worldwide: Pre-chlorination for algae control and arresting biological growth Aeration along with pre-chlorination for removal of dissolved iron and manganese Coagulation for flocculation or slow-sand filtration Coagulant aids, also known as polyelectrolytes – to improve coagulation and for thicker floc formation Sedimentation for solids separation, that is removal of suspended solids trapped in the floc Filtration to remove particles from water Disinfection for killing bacteria viruses and other pathogens. Technologies for potable water treatment are well developed, and generalized designs are available that are used by many water utilities (public or private). In addition, a number of private companies provide patented technological solutions. 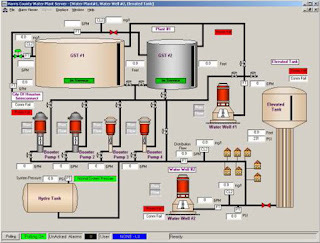 Automation of water and waste-water treatment is common in the developed world. Capital costs, operating costs available quality monitoring technologies, locally available skills typically dictate the level of automation adopted. Simatic is similar to a digital computer which can store and run programs. The Simatic also has some inputs and outputs. The running program on the Simatic controls these inputs and outputs. Both are connected by electrical wires with the machine. That makes a communication between the Simatic and any machine possible. As the case may be the inputs and outputs are set on a “High” signal or on a “Low” signal by the program. These are different electrical definitions. Finally these signals are important if an action in the machine happens or not. In the machine, there are sensors. A sensor gives information about different situations in the machine. For example, how fast the motor rotates, what the temperature is or when the current action is completed. All this information is necessary for the program. The sensors give out an electrical signal, each signal goes by wire on an input of the Simatic unit. So the program knows what´s going on in the machine. This is very important, because now the program can perform the next correct step in its sequence. For example, if the temperature of the motor is too high, the program has to know it. Now the program will switch off the motor. In the machine, there are actuators. They cause a wanted motion, action or forming. Examples for actuators are a motor, a heater or a light. If the program says that it´s time to switch on the light in the machine, the right output of the Simatic unit will be set. That means that an electrical signal at the output goes by wire to the machine and switches on the light. Every automation system needs a program to control a machine. To create a program you need a software. Siemens created their own software for their products. The Simatic S5 product line is programmed by the software Step5. 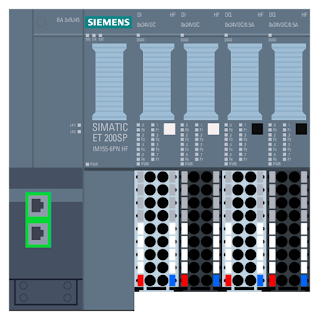 The Simatic S7 product line is programmed by the software Step7 or in TIA Portal (totally integrated automatisation). PROFIBUS (Process Field Bus) is a standard for fieldbus communication in automation technology and was first promoted in 1989 by BMBF (German department of education and research) and then used by Siemens. It should not be confused with the PROFINET standard for Industrial Ethernet. PROFIBUS is openly published as part of IEC 61158. The history of PROFIBUS goes back to a publicly promoted plan for an association which started in Germany in 1986 and for which 21 companies and institutes devised a master project plan called "fieldbus". The goal was to implement and spread the use of a bit-serial field bus based on the basic requirements of the field device interfaces. For this purpose, member companies agreed to support a common technical concept for production (i.e. discrete or factory automation) and process automation. First, the complex communication protocol Profibus FMS (Field bus Message Specification), which was tailored for demanding communication tasks, was specified. Subsequently in 1993, the specification for the simpler and thus considerably faster protocol PROFIBUS DP (Decentralised Peripherals) was completed. Profibus FMS is used for (non-deterministic) communication of data between Profibus Masters. Profibus DP is a protocol made for (deterministic) communication between Profibus masters and their remote I/O slaves. There are two variations of PROFIBUS in use today; the most commonly used PROFIBUS DP, and the lesser used, application specific, PROFIBUS PA: PROFIBUS DP (Decentralised Peripherals) is used to operate sensors and actuators via a centralised controller in production (factory) automation applications. The many standard diagnostic options, in particular, are focused on here. PROFIBUS PA (Process Automation) is used to monitor measuring equipment via a process control system in process automation applications. This variant is designed for use in explosion/hazardous areas (Ex-zone 0 and 1). The Physical Layer (i.e. the cable) conforms to IEC 61158-2, which allows power to be delivered over the bus to field instruments, while limiting current flows so that explosive conditions are not created, even if a malfunction occurs. The number of devices attached to a PA segment is limited by this feature. PA has a data transmission rate of 31.25 kbit/s. However, PA uses the same protocol as DP, and can be linked to a DP network using a coupler device. The much faster DP acts as a backbone network for transmitting process signals to the controller. This means that DP and PA can work tightly together, especially in hybrid applications where process and factory automation networks operate side by side. HostLink is communication protocol for use with or between PLC's made by Omron. It is an ASCII-based protocol generally used for communication overRS232 or RS422. The protocol enables communication between various pieces of equipment in an industrial environment for programming or controlling those pieces of equipment. The maximum allowed message size is 30 words per message. Larger messages can be sent by 'fragmentation' process, where the same slave returns a series of messages to build up the entire response. PLC host computers can transfer procedures, and monitor PLC data area, and control the PLC using the HostLink protocol. A programmable logic controller, PLC, or programmable controller is a digital computer used for automation of typically industrial electromechanical processes, such as control of machinery on factory assembly lines, amusement rides, or light fixtures. 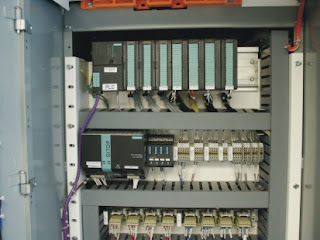 PLCs are used in many machines, in many industries. PLCs are designed for multiple arrangements of digital and analog inputs and outputs, extended temperature ranges, immunity to electrical noise, and resistance to vibration and impact. Programs to control machine operation are typically stored in battery-backed-up ornon-volatile memory. A PLC is an example of a "hard" real-time system since output results must be produced in response to input conditions within a limited time, otherwise unintended operation will result. Before the PLC, control, sequencing, and safety interlock logic for manufacturing automobiles was mainly composed ofrelays, cam timers, drum sequencers, and dedicated closed-loop controllers. Since these could number in the hundreds or even thousands, the process for updating such facilities for the yearly model change-over was very time consuming and expensive, as electricians needed to individually rewire the relays to change their operational characteristics. Early PLCs were designed to replace relay logic systems. These PLCs were programmed in "ladder logic", which strongly resembles a schematic diagram of relay logic. This program notation was chosen to reduce training demands for the existing technicians. Other early PLCs used a form of instruction listprogramming, based on a stack-based logic solver. Modern PLCs can be programmed in a variety of ways, from the relay-derived ladder logic to programming languages such as specially adapted dialects ofBASIC and C. Another method is state logic, a very high-level programming language designed to program PLCs based on state transition diagrams. Early PLCs, up to the mid-1990s, were programmed using proprietary programming panels or special-purpose programming terminals, which often had dedicated function keys representing the various logical elements of PLC programs. 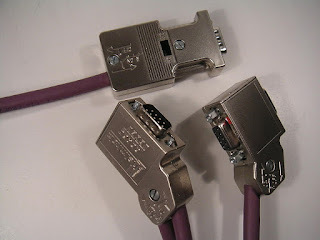 Some proprietary programming terminals displayed the elements of PLC programs as graphic symbols, but plain ASCII character representations of contacts, coils, and wires were common. Programs were stored on cassette tape cartridges. Facilities for printing and documentation were minimal due to lack of memory capacity. The oldest PLCs used non-volatile magnetic core memory.